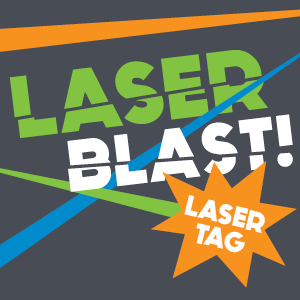 Book your kids birthday party today and add the Glow feature. 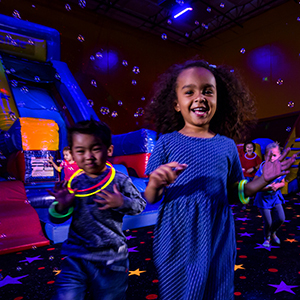 Your party will be out of this world and unlike any-other. 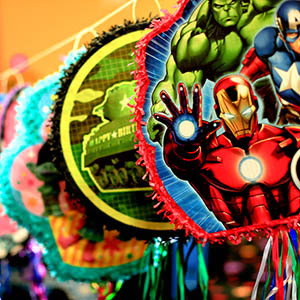 Enhance your party room experience with a themed pinata of your choice. Includes 2.7lbs of candy & goodies and bags for the kids to round up their prizes. Add more character to your party, you can now personalize your party even more with our themed paper goods & goodie bags! 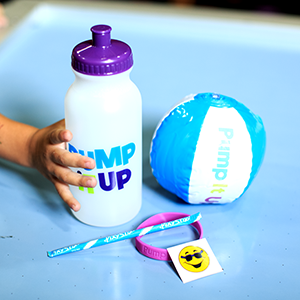 A re-sealable customized Pump it Up bag that includes a variety of fun toys and novelties that all kids will love! Contact our store for more details. Great for kids on the go! 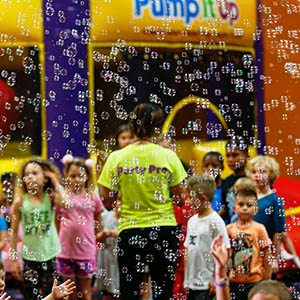 Purple or Blue Water Bottle, Glider, Finger Trap, Punch Ball, Strawberry Tootsie, Frootie and Sucker. Contents may vary. 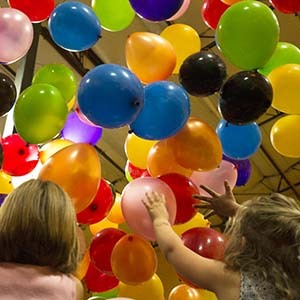 Let's throw the best kids birthday party in all of Loudoun County!